The Gala, held at the Mandarin Oriental in Columbus Circle, featured dinner, music, and dancing. WABC News Anchor Bill Ritter, a longtime supporter of the Mission Society, emceed the event. Performing were Kathy Sledge, the legendary voice of Sister Sledge; acclaimed singer Alex Donner and his Orchestra, and students enrolled in the Mission Society’s free afterschool music education program, GRIOT. The Mission Society recognized the ongoing and vital support of lifetime members of its Board of Directors: actress and philanthropist Dina Merrill Hartley, whose family has supported the Mission Society for four generations, and Lloyd W. Brown, II. 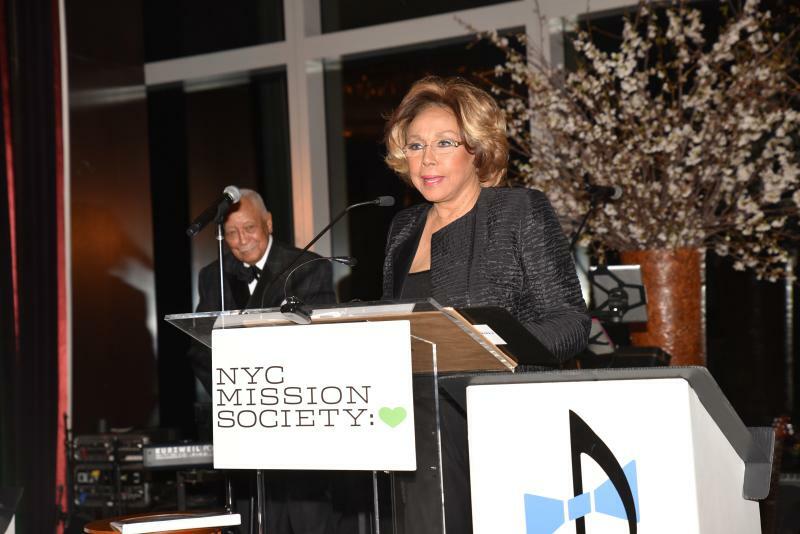 The Mission Society presented the legendary Diahann Carroll with its Champions for Children Award. 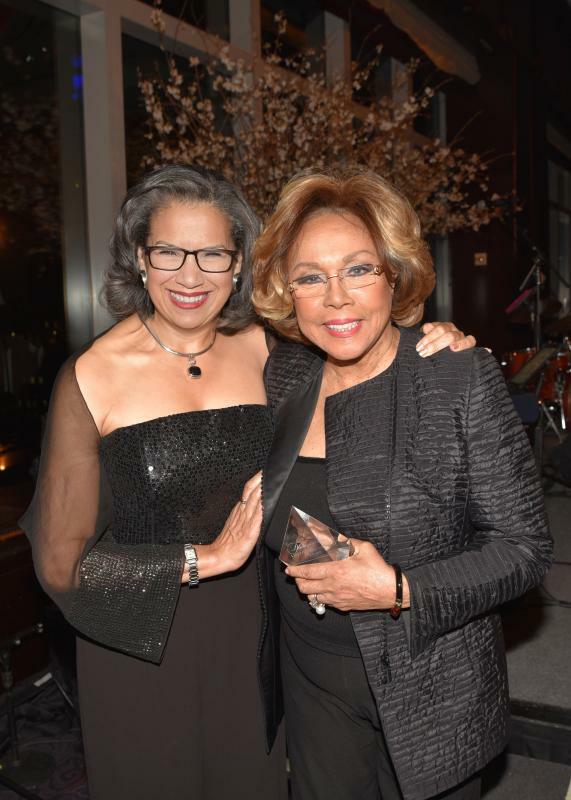 Born in Harlem, Ms. Carroll is an award-winning and trailblazing actress, successful entrepreneur, and devoted humanitarian. One of America’s major performing talents, she has starred on stage, screen, and television. In addition to winning Tony and Golden Globe awards, Ms. Carroll has been nominated for Emmys, Grammys, and an Oscar over her long and prestigious career. She also has devoted considerable time to support causes that are important to her. She served as an ambassador and national spokesperson for Lifetime Television’s breast cancer awareness campaign, and has been recognized for raising awareness about HIV and AIDS. Ms. Carroll was the first black actress in television history to star in her own series, Julia, on NBC, which soared to the top of the Nielsen ratings and received an Emmy nomination. Her television credits include Dynasty, A Different World, Soul Food, Strong Medicine, and Whoopi. Her recent appearances include White Collar on the USA Network and a role in the film Peeples. Equally stunning on stage, Ms. Carroll has received acclaim for her performances in Sunset Boulevard, Bubbling Brown Sugar, and House of Flowers, and won a Tony Award for her performance in Richard Rodgers’ No Strings. Her film work includes Claudine, Carmen Jones, Paris Blues, Porgy & Bess, Hurry Sundown, I Know Why the Caged Bird Sings, and Eve’s Bayou. In 2010, she filmed her stage show, “The Lady-The Music-The Legend” for PBS TV, and her one-woman show at Feinstein’s regularly sold out. Recognized as one of the most successful entrepreneurs in the nation, R. Donahue (Don) Peebles is Founder, Chairman, and CEO of The Peebles Corporation, one of the country’s few national privately held real estate investment and development companies with portfolio of projects in New York, Washington, D.C., Philadelphia, Boston, and Miami Beach.